The Karavanke Tunnel is a border tunnel between Slovenia and Austria. The first tunnel tube was built back in the 1980s, a construction of a second tunnel tube is currently planned. The total length of the tunnel amounts to 7,887.00 m, wherein 3,444.12 m will be designed by a Slovene engineering group. 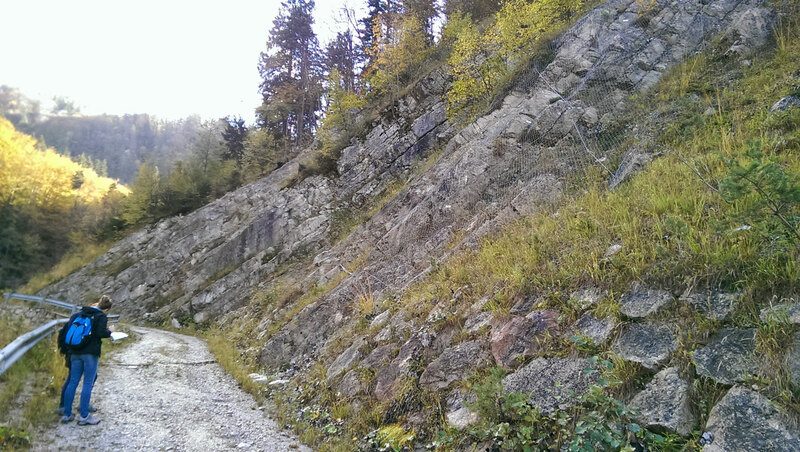 The tunnel passes through the Karavanke mountain range, the geological composition of which is very complex and not yet completely explained. 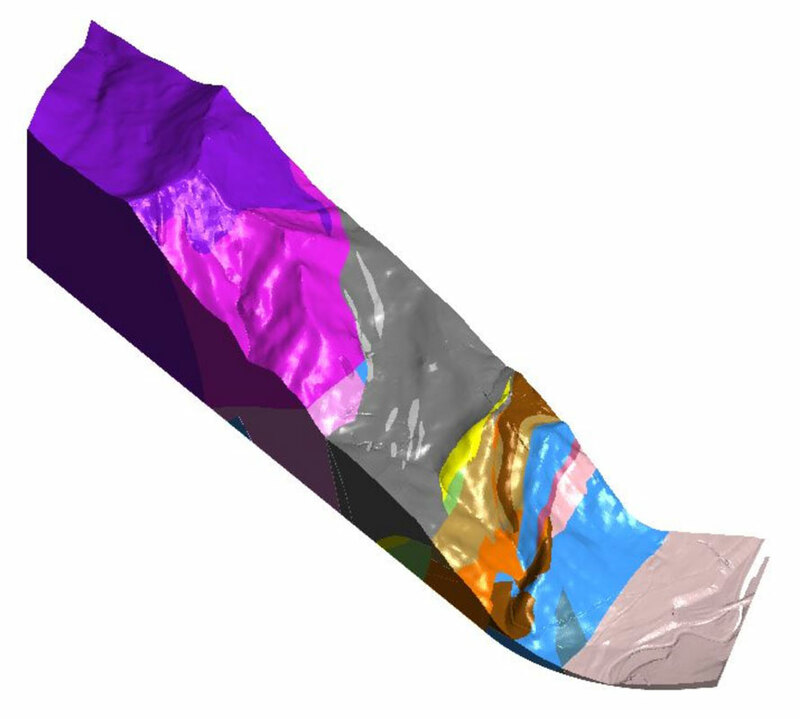 The geological situation along the tunnel rapidly changes at short distances, this is why a 3D geological model was created in the Leapfrog Geo (Aranz Geo Ltd.) programme to facilitate determination of the lithological and structural composition along the planned eastern tunnel tube. The model is based on the existing data supplemented with some new findings. 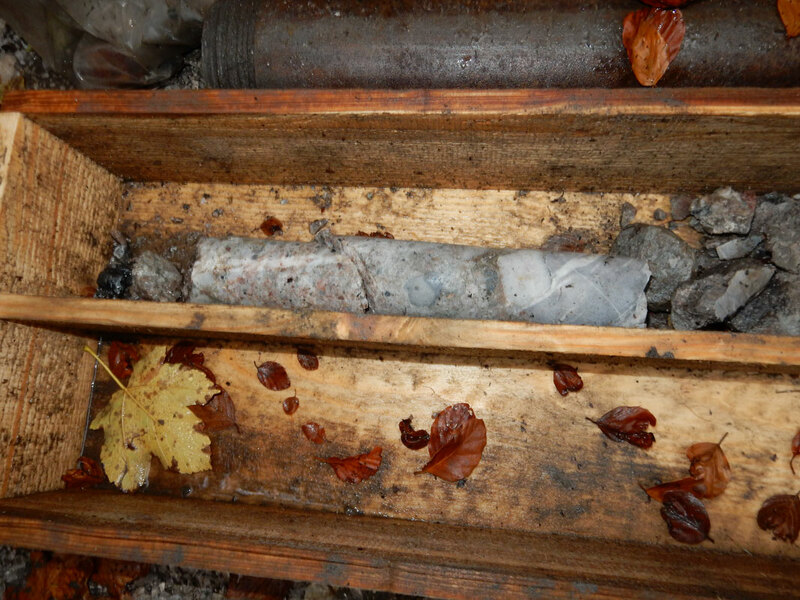 The geological data used in the creation of the 3D model were taken from the documentation from the exploration phase and from the construction phase of the existing tunnel. The final product was a geological/geotechnical study for the preliminary design phase which was the basis for further planning of the tunnel. Project typeSecond tube of a double-lane road tunnelLocationJesenice, SloveniaSection lengthTotal: 7,887 m, Slovene section: 3,511 mInv. value€119,527,000.00 Year(s)2014-2015ServicesExecution and management of examinations in the field, existing literature overview, preparation of a geological/geomechanical study and of a 3D geological model, preliminary design InvestorDARS d.d.